Another year of renewals, pick-ups and cancellations have officially come to an end as the new television season starts for 2012-2013. Mostly 90% of the new fall shows have already premiered and I'm beginning to pick and choose which ones I'll be following. I don't have DVR so it's either watching live or online (or with my handy mobile apps that I downloaded beforehand). Last summer I created a post about the five shows I was excited to watch premiere - three of those shows got cancelled (I'm not bitter). Though, I was hesitant to write this feature but I'll see if it has the same outcome again. Based on the five big U.S. networks, five new programs stood out to me at a glance. I've watched the first few episodes of each show below and have been impressed so far. 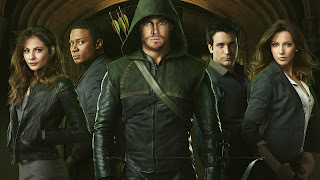 Arrow is the television adaptation of the DC comic-book superhero, The Green Arrow. It isn't the first time I've watched a superhero television show, let alone The Green Arrow. The character of Oliver Queen appeared on The CW's Smallville for a couple of seasons when the show was still on the air. It was a great show, though I caught up with the storyline periodically from time-to-time. From all of the previews I've seen and Arrow's first episode, Arrow looks to be a really great show. It's dark, gritty and includes cast members I enjoy like Katie Cassidy and Willa Holland. Sherlock Holmes is hilarious (I can't help it). This new modern day adaptation of the Scotland Yard investigator takes place in New York City with Jonny Lee Miller as Sherlock Holmes and Lucy Liu as Dr. Joan Watson. 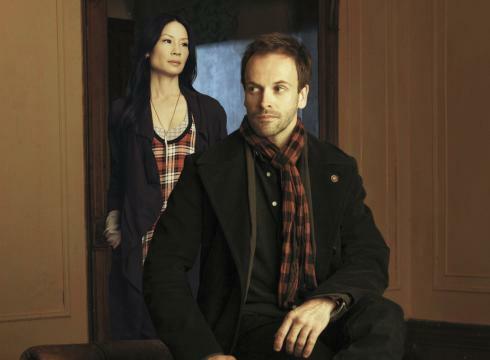 There have been several crime solving duo television shows in the past and Elementary provides a fresh take on the concept. Neither lead characters are police officers, their setting isn't the police station and there isn't a blatant comedic foil. Being a drama/mystery type of show, there will be "case-of-the-week" episodes with a new case to solve. I'm not sure if there will an "arc" or a recurring villain but with only two episodes airing so far, we'll see how the season develops. Another music show. Hey, I like musicals and theatre! 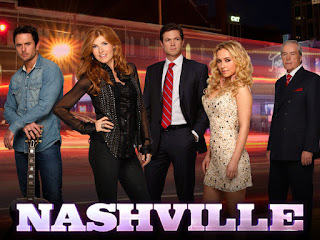 Nashville focuses on the trials of performing in country music and the career of two very different stars: Rayna James (Connie Britton), the 40-year-old superstar who's star is falling and Juliette Barnes (Hayden Panettiere) the current sensation on the scene. I'm not the biggest country music fan but Nashville does stand out as something I'd really like to see beyond the first episode. Both lead actresses are amazing in the pilot and combine this with Glee and SMASH, I'll have three very different music shows - one teen (Glee), one theatre (SMASH) and one showbiz (Nashville) storyline. Three episodes have already aired and I absolutely like The Mindy Project. Mindy Lahiri (Mindy Kaling) plays a quirky OB/GYN who is looking for true love and is obsessed with romantic-comedies. I never watched The Office but I've heard good things about Mindy Kaling and this show did not disappoint. It has that New Girl vibe to it and could be a nice watch for someone that can relate to the main character's dating life. Apparently this show is based on a book adaptation (which is surprising as I usually know these things beforehand). 666 Park Avenue is a supernatural-drama that takes place inside the halls of a New York City apartment building. Soap opera dramas like this are great to follow for the twists and turns but after two episodes, I'm interested to learn more about the building's history. Maybe I'll pick up the book to read the full story before they make changes? Beyond just these five shows, there are a lot of others that I'm excited to see. Plus, there's always the mid-season replacements to catch something brand new in January. Already have your fave new shows for the season? Share your comments below and let me know what programs you’ll be tuning in!